Rhen: Hello, Sid. Why are you here? Sid: I’m just delivering a gift for the people of Veldrif. Rhen: Since when do you give gifts? 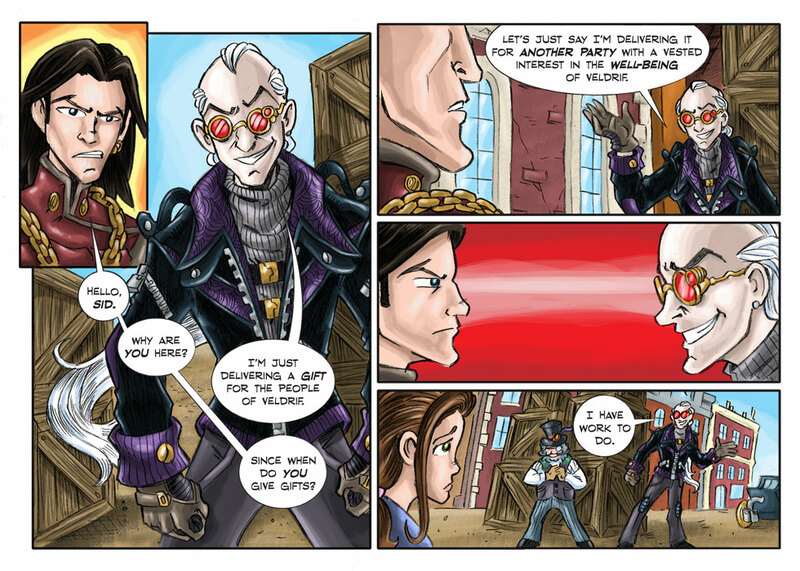 Sid: Let’s just say I’m delivering it for another party with a vested interested in the well-being of Veldrif. Sid: I have work to do. That jacket is amazing. Love purple.